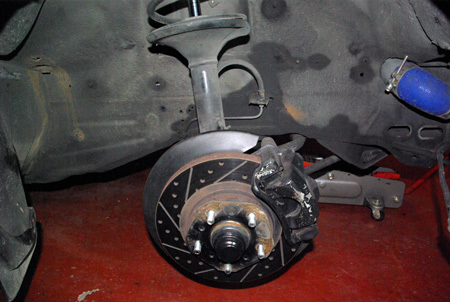 You can increase the stopping power of your front brakes by using the front rotors and calipers from the later 1990-1996 300zx. Jack the front of the car up and secure on jackstands. 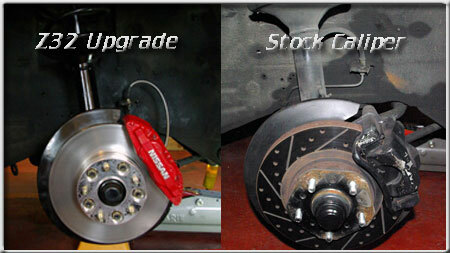 Remove brake caliper and line from the car. 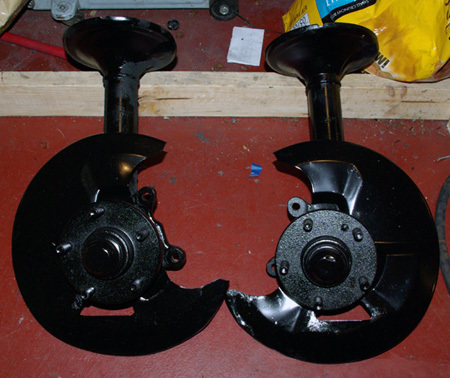 On models other than 87+ turbo, Remove the front hub assembly and replace with the 87+ turbo front hub. 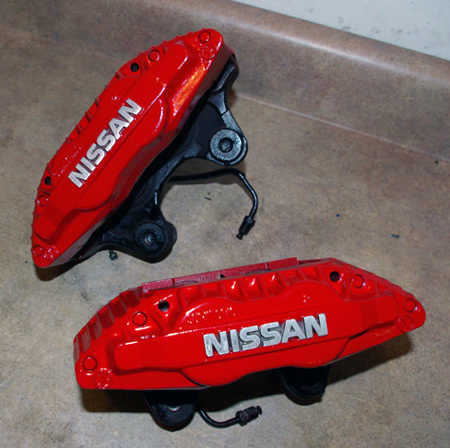 The Z32 Caliper is much longer than the Z31 caliper. 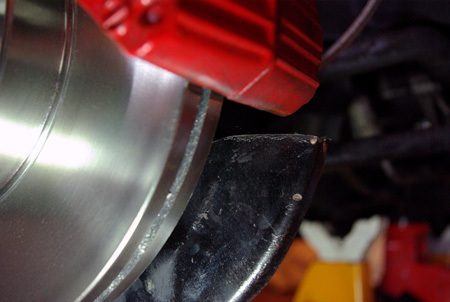 By Cutting an inch or so off the dust shield the caliper will now fit without rubbing. Install the Z32 Front Rotor by slipping it on the wheel studs. Next install the Spacer so the Caliper will be centered. Now to modify the caliper so the Z31 Brake lines will work. 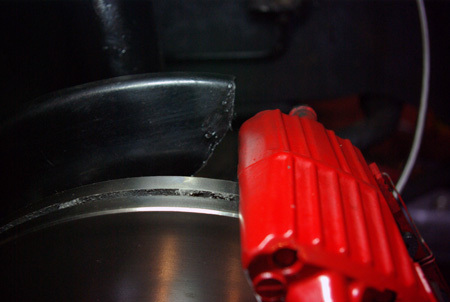 First separate the two halfs of the caliper. 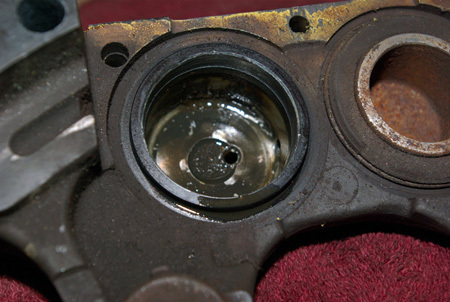 Then remove the piston in front of the Fluid inlet. 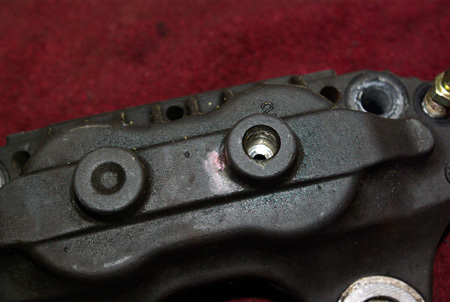 Once piston is removed this is what youll see. Just take a punch or similar and tap the orifice out from inside out. I found it nessassary to stick a phillips in the front of the inlet and turn the orifice to "break"it loose. 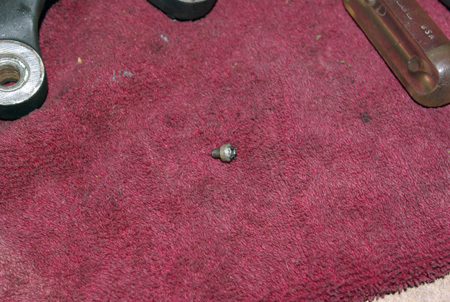 This is what you are removing. Install the caliper and bleed the brakes. Install the wheels and lower the car. This swap is known to work with the 87-89 turbo and non turbo wheels. 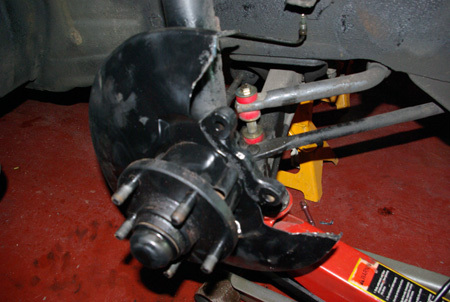 1986 Non turbo wheels rub the caliper slightly at the bottom face caused by the hub section of the wheel. At this time it is unknown if the 84-85 Turbo and non turbo and the 1986 turbo wheels will work without rubbing the new caliper.